The reactions to the release of Mian Nawaz Sharif and Maryam Nawaz, along with that of Capt Safdar, are bewildering to say the least. 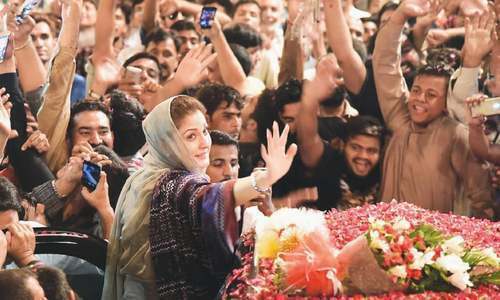 It was a foregone conclusion that the former prime minister and his daughter, who had been imprisoned while leading the resistance plank of the PML-N, would be bailed out. In the wake of their arrest, it was also deduced, on the authority of legal experts, that they would be freed in the not too distant future while the hearing of the cases against them would continue. In the background of all these assumptions and assurances, it is a little odd how, after their release, some of us are now behaving as if we have been abruptly woken up. Yes, this is a party spoiler, no doubt. The end of 60-odd days of incarceration for Mian Sahib and Maryam Bibi came when Imran Khan’s PTI was still in the middle of shifting from celebratory gear to business phase. 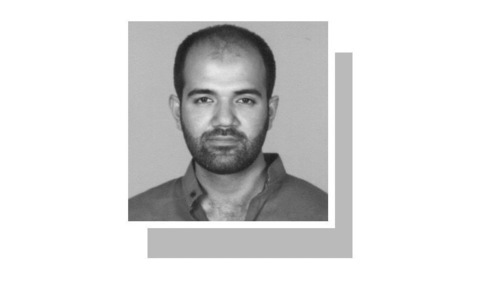 The voices, dripping with hope and confidence and a lot of ambition, from the inner bastions of Imran’s new edifice were still being overheard in public. There might have been some dismay at the sheer personal bias that appears to have informed many of the skipper’s choices — in a throwback to how he would once select his playing eleven in the cricket field. But then, those whose belief in Khan sahib’s magic is unshakable might want to furnish this very knack of picking up the best talent from the pool available to him nearby as evidence that their leader retains his old Midas touch. There were other formalities which were being fulfilled. A Turkish minister had already been to Islamabad to corroborate in person that the baton in Pakistan had safely been transferred from a proven friend, the Sharif family, to a reliable and willing new aspirant. Here he was — Imran Khan, potentially long-lasting on the strength of the glorious words he had spoken about what Turkey represented in the modern world in one of his earliest statements after winning power. It seemed as if the sanity restored to Pakistani politics after long years of deafening confrontation had not gone down too well with certain sections. When everyone was speaking of relief — in other words an imminent Sharif release from Adiala — Prime Minister Khan was in Saudi Arabia on his first official tour abroad. The visit was being viewed with great anticipation, in the context of a tradition that projects the Saudi friends as the permanent rescuers of Pakistan from all kinds of crises. 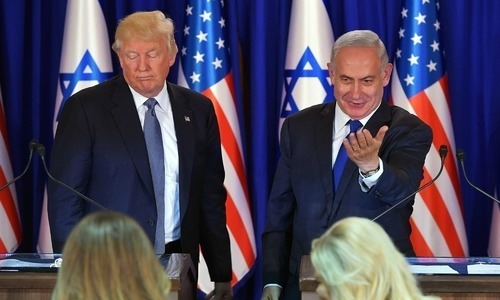 Prime Minister Khan being accorded a real royal reception in the holy land was probably being looked upon by many Pakistanis as some kind of a formal transfer of power from the Sharifs, the so-called Arab favourites. In other areas also, members of the PTI’s core group were busy setting directions. The gas tariffs had just been set right. Those in the habit of wasting such a precious natural national resource had been censured in the most apt manner that could occur to overtly taxed minds looking to create an impression with their first official assignment. Also, the famous 800,000 club had been duly chastened for applauding some of the tax measures adopted by the last PML-N government just before it ended its term. The breathing space the Sharif aides had cleverly sought to give certain elite categories from among these 0.8 million chosen souls had been taken back. And if this were not new enough, there was the most notable and progressive of all PTI declarations in this initial phase. The prime minister promised to give Pakistani citizenship to all ‘refugee children’ born in the country. The idea may have some unforeseen repercussions given the narrow territory within which some of the political players and ordinary citizens operate here. But obviously, this was an assertion no forward-looking person can ever oppose — least of all raising any eyebrows in a land whose natives have followed in droves the naturalised route to citizenship in other countries. 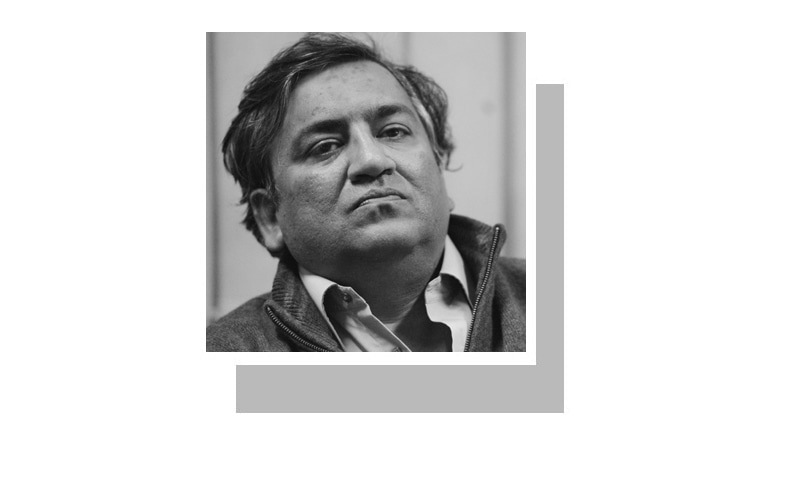 By Wednesday evening, there was some talk about how Prime Minister Khan didn’t quite mean it the way it had come out in some accounts. But by then the event of Mian Sahib & family coming out and emerging as a challenger to PTI’s budding setup had taken over everything. It seemed as if the sanity and peace restored to Pakistani politics after long years of deafening confrontation had not gone down too well with certain sections here. As soon as the trio had packed their bags to leave Adiala, there was a stream of comments dipped in expectancy and let loose in the media. Much of it urged Mian Sahib, and Maryam Nawaz, to take up causes in the same vein in which the duo had operated before they were sent to jail. Some of the enthusiasts went as far as to advise the revolutionary leadership to take the GT Road back to Lahore from Rawalpindi, in a repeat of the journey which had set the tone for the Sharif defiance after Mian Sahib was ousted as prime minister by a court decision in July 2017. There are so many valid reasons for the old-mould opposition campers to greet the coming of Mian Sahib and Maryam Bibi. But they might only be courting disappointment if they allow themselves to believe that the freed PML-N leaders are immediately going to adopt the same tone and frequency they had sustained for many months in the one-year period leading to their imprisonment. They may be badly mistaken. Apparently, one of the biggest reasons, if not the most important cause, for that tactic then was the approaching election. PML-N thinkers might say the banner of resistance put up by Mian Sahib and his daughter was to a large extent responsible for keeping the PML-N alive and kicking in vast parts of Punjab. That objective is now absent; it will be unrealistic of Mian Sahib to right away aim for a bigger target, like dislodging the firmly entrenched PTI government. 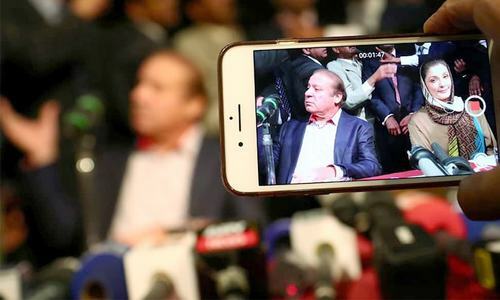 Thus, in the circumstances, Mian Sahib might let himself and others such as Shahbaz Sharif explore other options to stay alive and relevant and in contention. Pakistan — the nation of chaos junkies? The only option to stay relevant is criticism of the government's policies. Take a leaf out of Imran's book who used to reprimand everything under the sun. Be a strong opposition in the parliament. This is what the constitution demands from you. The release has shown that the courts were not pressured by powers outside the judiciary. Unless they are found guilty, they should be considered innocent, although it is difficult to believe they are Knowing how they bought such properties in faraway London. I know many people who have taken money out of the country which is shameful. But a PM doing that is the height of deceit. No consequences for bad behaviour like tax evasion. Who buys a house through off shore companies, denies they own the house, your son tells the bbc hardtalk programme he doesn't know who his landlord is! Nicely said ...... Balanced view. The present arrangement is similar to a house arrest. With restriction being imposed on travel outside the country and ban on participating in politics, takes out all the possibility of open fanfare for the Sharif's. Except for a few pockets in Punjab, they have no national standing. The party cadre that is blindly following the convicted beleaguered leader is going the same route as PPP. Release of Nawaz Sharif’s and company through the wheeling and dealing by Pakistani government and our well meaning friends leaves another scar on the face of Pakistani governance system. Let’s hope Prime Minister Imran Khan can ride this storm and other storms out diligently and wisely. Good luck PM Khan. Excellent analysis by Asha’ar Rehman. Nawaz Sharif will let the dream castle of Imran Khan collapse under its own weight. Justice finally prevailed when Sharif were given deserved relief. However, I must say that since father and daughter started a movement for supremacy of civilian control over Pakistan, now they should not set that aside for sake of imaginary and shallow political stability. The struggle is for civilian supremacy and not political stability. Pakistan's future is at stake. Good article. Mian Nawaz Sharif will do a service to the country if he decided to remain quite and withdraw from Politics Let other play their role. However, it is in Pakistan's interest to have a decent stable Govt. For few years. Close ties with any Arab country will be harmful. Try to revive alliance between Pak., Iran and Turkey. 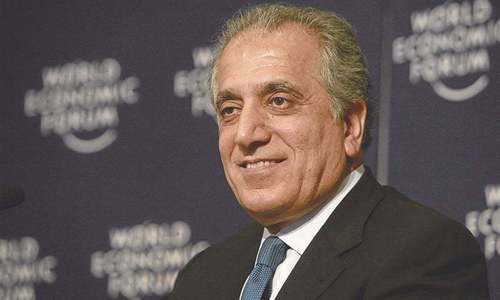 If peace returns in Afghanistan, hopefully that country may also joi the alliance.Maintain good relations with India, China, USA and Britain.Cordial relation with Canada and Russia...good relations with all other countries. What happened is welcome relief. Adiala jail for Nawaz and his family was simply beyond belief. But we saw it happen. That in itself was so incredible. When ever you think you have seen it all. There is always a surprise and always some thing worse happens. I say let Nawaz go we had enough of this drama. Its just a distraction and of no intrinsic value. Consider the same case with the identical set of evidence / paperwork etc. submitted by an ordinary person, the court / NAB would have torn that evidence to shreds in a day and thrown that person behind bars the next. PMLN is irrelevant now. The best option to them is to support the Government on national matters and repair the damage PMLN has done to itself by anti Justice and anti Military stances. The Author of the piece touched many issues with consummate deftness and effectiveness. At least in a way reprimanding the Captain for his team selection is not correct. The Captain never had the same authority in the selection of his team. It was the selectors and the Captain was only one with the authority to use the team members according to their strengths. As a Prime Minister, he has relatively more authority. Ministers are there because of the Captain's kudus. They are in a way obliged to him for being elected because of him. Yes, partly for their own achievements. They are all qualified one way or the other. They have been given the job to do. So the fact remains, whatever their past they need to perform according to the Captain's strategy, otherwise the consequences. Wait and see the results do not put cold water on it yet. Because they were never considered to be the "stake-holders". It was never about them. The dilemma is that the man, who was't eligible to become even a councillor, was made prime minister three times.